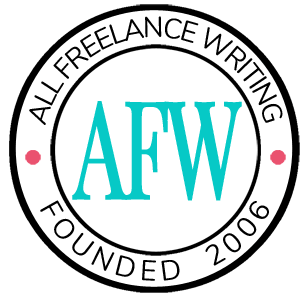 We've talked in the past about why freelance writers need a professional website. There are some things we didn't get into then, and some things have changed over the years, making them more important now than ever. To kick off our series on professional websites for freelance writers, let's start by looking at some of the most important reasons you might want to create one. When you pitch a new prospect or one finds you through search engines or a referral, they want to know what you can do, and they want to know fast. Chances are good they're considering other writers. And they need an easy way to compare you side-by-side. Your professional website puts everything they need at their fingertips. They can find out exactly what services you offer. They can see samples of your work in your portfolio. They can view your freelance rates to see how you compare to the competition. And they can easily find out how to contact you privately for a final quote or contract. Clients might be looking for freelancers at any time. You can't be available 24/7. Your website can be. The easier you make things on prospects, the better the chance that they'll contact you if you're a good fit. 2. Diversity in marketing is a good thing. No one should ever rely on a single marketing tactic, and that includes querying. If the only way you bring in new freelance writing clients is by querying (or cold calling, or whatever your choice marketing tactic is), you're missing out on opportunities. Clients find their freelancers in different ways. Some must be pitched (and some don't even know they need you until you pitch them on something). Others only hire based on referrals. Some directly search for freelancers in the specialty they need. And some (most frequently on the low end of the pay spectrum) advertise publicly in the hopes of getting a large applicant pool to choose from. If a client chooses to search for freelancers on their own, you absolutely should have a website. But professional sites are important beyond that. Even when clients find out about you in other ways, your website is a fantastic supplementary marketing tool. For example, query letters aren't meant to include long histories. They're meant to get the reader's attention and build interest in your services. Including a link to your website allows an editor or other client to learn more about you and view more samples if that's their preference in their hiring process. The same goes for referrals. You'll get more if you make it easy on the person referring you. They should be able to give a quick recommendation and a link to your site where the prospect can learn more. They shouldn't have to sell your services for you. 3. Third party tools shouldn't be counted on exclusively. Along the lines of the previous point, no, it's not enough to have a Facebook account or Twitter profile or an account on any other third party service. Might they help clients find you in search engines? Sure. But you can't count on them. Just as no smart website owner is going to count on Google alone for traffic and revenue, and just as you would never rely on just one client to keep your freelance career going, you shouldn't rely on a third party platform to serve as your home base on the Web. You never know when it will be gone, when it will be penalized in search results, or when the terms of service will change. Remember, just because you're comfortable with things like social media platforms, that doesn't mean everyone else is. Many businesses still don't use social media. And if those potential clients don't trust social media enough to use it themselves, you might lose them by having that be your only Web presence, nonetheless other platforms they've never heard of. Having your own website is the only way you stay in control of your platform's success or failure in attracting clients. And it's the only way you have full control over your messaging, appearance, and features (such as an email list). 4. Analytics are important to improving your marketing. One of the biggest reasons freelancers should set up professional websites is that they're amazing market research tools. To improve your marketing efforts over time, you need to find out what works and what doesn't. When you host your own website, you can use a wide variety of Web analytics tools to find out who your website is appealing to, who sends referrals and traffic your way, and much more. While other platform options might offer some data, none offer as much as you can get from your own hosted website. And in business, nothing is more valuable than good information. 5. A professional website makes you look more, well, professional. Let's face it. Clients often expect you to have a professional website. And not having one makes you look less professional, no matter how many years you might have on the other writers being considered for the gig. Your website also helps you build credibility in your specialty area, especially when you tie a blog to it (not a blog for other writers, but a blog targeting your existing client base). Then there's the branding side of things to consider. Third party platforms don't give you full control over branding (think about Google+ limiting custom URL options or someone with the same name on that or another social network). With your own website, you can stick with personal branding or any business branding that suits you, and you can make sure it's something you can carry over to other platforms before you commit. These are far from the only reasons you should set up a professional website, and even a blog. But they're important reasons to take your freelance website seriously and not brush it off. Still to come in our series on professional websites for freelancers -- why freelance writers need a blog on their professional site, what you should include on your business website as a freelance writer, and some examples of well-designed professional websites from your fellow freelance writers. Jenn, you make an excellent case for a freelance writer to have a quality website. I’ve gotten several great projects from people who found me through web searches. A more problematic question is whether or not a writer should have a blog as part of the website. Blogging has the potential to bring more search traffic, and to impress potential clients, but it can take time away from working on paying projects or directly prospecting for good gigs.